Arthur B. 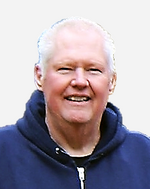 “Brad” Shepherd, of Norton, Vermont, formerly of Dracut, passed away peacefully on January 9, 2019, at home, after a lengthy battle with cancer. He was the beloved husband of Cheryl A. (Dougherty) Shepherd, with whom he celebrated 41 years of marriage. Born in Lowell, February 26, 1954, he was the son of the late Arthur and Emily (Wilson) Shepherd. He was educated in the Dracut school system. For many years, Brad owned and operated Shepherd’s Trucking of Dracut. Most recently, he owned Shepherd’s Tool & Machine in Norton. Childhood sweethearts since Middle School, Brad and Cheryl married on September 10, 1977, and settled in Dracut. In 2012, they fulfilled a long-time dream and moved to Norton in the beautiful green mountains of Vermont. Together, they enjoyed snowmobiling, boating, and traveling. Brad was an active member of the Norton Snow Blaster’s Snowmobile Club, always making sure the groomer was in top condition and the trails expertly maintained. He also served on the Board of Directors. Committed to his community of Norton, he volunteered as Road Commissioner and Waste Management Support. For many years, Brad was very active in Pro Stock Racing, most notably as a dedicated crew member of Pro Stock #6 in Pelham, NH. He was also a life member of the Methuen Rod & Gun Club. Kind and generous, Brad was always willing to lend a hand to anyone in need. Besides his wife, he is survived by a brother, Ronald Shepherd and his wife Lynne of Lowell, a nephew, Jonathan Shepherd and his wife Megan of Stoneham, and a niece, Jennifer Shepherd and her fiancé Brian Kearney of Malden. A sister-in-law, Laurene Dougherty of St. Petersburg, Florida, and her son Richard Walker and his wife Shannon of Nashua, NH. SHEPHERD – In Norton, VT, January 9, 2019. Arthur B. “Brad” Shepherd, of Norton, formerly of Dracut. Beloved husband of Cheryl A. (Dougherty) Shepherd. Friends will be received at the MORSE-BAYLISS Funeral Home, 122 Princeton Boulevard, Lowell, on Tuesday, from 11 to 11:45 a.m., followed by his Funeral Service at the funeral home at 12 p.m. Interment in Edson Cemetery, Lowell. Funeral Director, Frederick W. Healy.